​developing heart disease increases after menopause. The presence of a risk factor increases your likelihood of developing heart disease. Some risk factors, such as age and gender, cannot be changed while others may be modified. By understanding and managing risk factors, you can lower your risk of heart disease. What are the non-modifiable risk factors? Age increases a person’s susceptibility to heart disease. 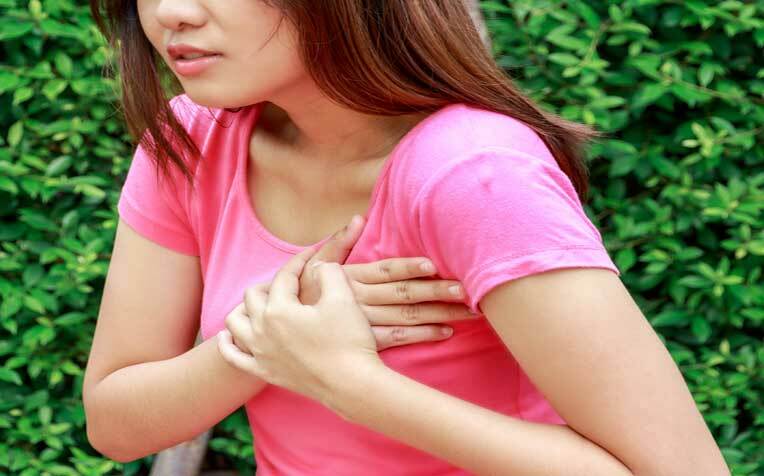 "For women, the effects of menopause, including the loss of the hormone oestrogen, appear to increase the risk of coronary heart disease and stroke," say doctors from National Heart Centre Singapore​, a member of the SingHealth group. Men are 3 to 5 times more likely to have coronary heart disease than women. However, the risk for women increases after menopause. By about 5 to 10 years following menopause, the risk of coronary heart disease for women increases to the same rate as men. Risk for coronary heart disease varies with different ethnic groups. The likelihood of coronary heart disease is high​est amongst South Asians in Singapore. Compared with the Chinese, South Asians are three times, and Malays are two times more likely to suffer from coronary heart disease. You can be at a higher risk of having heart disease if your immediate family members (parents, children, brothers and sisters) have a history of premature heart disease. Certain risk factors tend to run in some families. If there is a history of heart disease in the family, you should try very hard to control your other risk factors too. See next page for the modifiable risk factors for coronary​ heart disease​.